Senior officers’ pay reflects their skills and the need to attract top applicants for challenging jobs, a spokesman for Lancashire County Council said. County Hall has committed to finding £135m of savings in the four years to 2021-22. The latest report from the TaxPayers’ Alliance pointed out the high salaries of more than 2,000 local authorities across the country, at a time when many areas have been hit by cutbacks. But the council says the high pay fits the roles. A spokesman said: “Senior officers’ pay reflects the skills and responsibilities required of these complex roles and ensures that we attract and retain the best people possible for Lancashire. 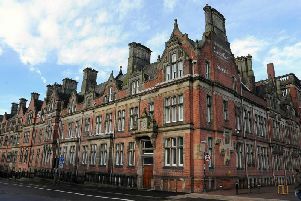 There were eight employees at Lancashire County Council with either a salary or an overall pay package, including pension, which tops £100,000. The chief executive’s salary is £134,999 and the total pay package is £268,777, while the corporate director of commissioning and deputy chief executive earns a basic salary of £99,776 and a total package of £230, 575. The director of children’s services earns £114,015 per year, with a total package of £130, 431. The other employees have salaries under £100,000 but each come in with a total package of over £100,000. However, the figures in the report do not take into account the appointment of a new chief executive at Lancashire County Council, Angie Ridgwell, who officially took up the post in October 2018 after 10 months in the interim role.